Oculus Co-Founder Nate Mitchell has hinted that big price cuts will be coming to the Oculus Quest and the Oculus Rift S. Both will initially cost $399 starting in the Spring of 2019. My intuition is that by the end of the summer of 2019 the permanent price of the Rift S will drop to $299, and that by Black Friday in 2019 it will be found on sale for $249. The Oculus Rift S is made in partnership with Lenovo. We have seen Lenovo’s previous headset called the Lenovo Explorer Mixed Reality on sale at Amazon.com for as low as $219 at various times in the past, as of today March 22nd, 2018 it’s on sale at Amazon.com for $286 and because of it’s flip up visor it probably costs more than the Rift S.
The Oculus Rift S brings out of the box roomscale to the Rift ecosystem on PC and that in of itself is a big win for users who want to continue to use their existing Oculus Rift software library in the future. Oculus Rift S is replacing the Oculus Rift which is being phased out. The Rift S is that it has 5 cameras mounted on the device, two front facing cameras, two cameras on each side, and one camera on top. 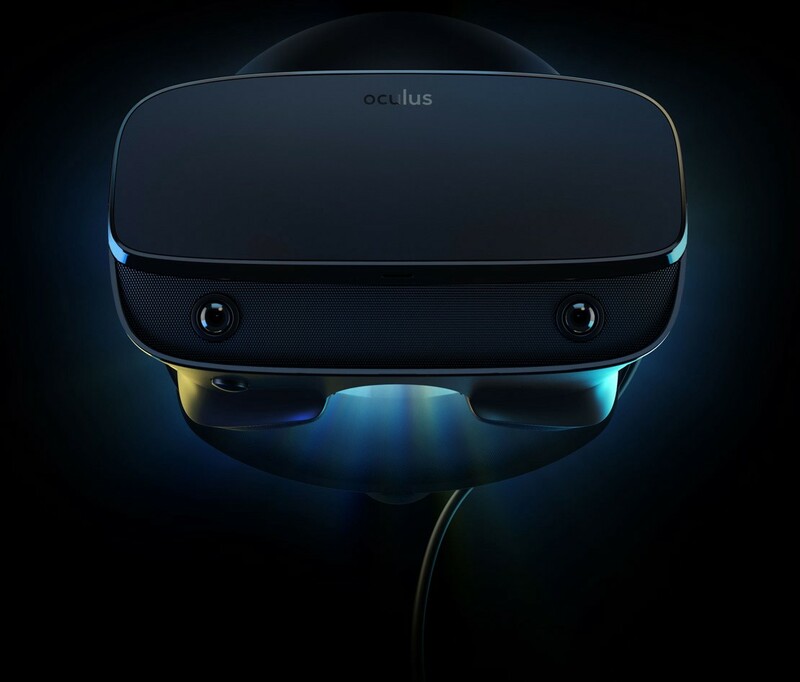 This means that users will no longer use externally mounted tracking cameras when setting up their Oculus Rift product. The Rift S uses the exact same Oculus Touch controllers used by the Oculus Quest. The display panel is now LCD, it runs at 80hz instead of 90hz and its the same resolution as the LCD panel on the GO. I had three chances to use the Oculus Rift S at GDC, and the third time I felt a very slight hint of motion sickness while playing Stormland on the Oculus Rift S. I think that the 80hz LCD display on the Rift S is not as good as the 90hz OLED display on the Rift but it’s pretty close. A lot of the decisions or compromises made on the design of the Oculus Rift S came down to lowering the cost of making the Oculus Rift S. I would not be surprised if by the summer of 2020 it was available at a permanent price of $199. I think that people will miss the Oculus Rift’s built in headphones which have vanished in favor of audio that is built into the strap but it does not cover your ears, there is a headphone jack so you can plug in your own headphones. The Rift S features a detachable cable, but it is not a wireless headset. It features an automatic software based IPD adjustment that technically supports a smaller range of interpupillary distances. In theory the Rift S should be cheaper than the Quest if only because it contains fewer parts than the Quest and it should be cheaper for Oculus to make. The Quest and the Rift S seem to have hidden Augmented Reality features that can be used with the Guardian system that were specifically not showing off at GDC and are specifically not accessible to third-party developers at this time. Do not expect any AR or MR apps on the Quest or Rift S at launch but be aware that Oculus and Facebook are heavily researching Augmented Reality and that this type of product may or may not be available on the Quest or the Oculus Rift S in the future, but no promises are coming from Oculus about that at this time. This analysis is leading towards an Augmented Reality software platform being available to developers on both Quest and Rift S by the end of 2019. 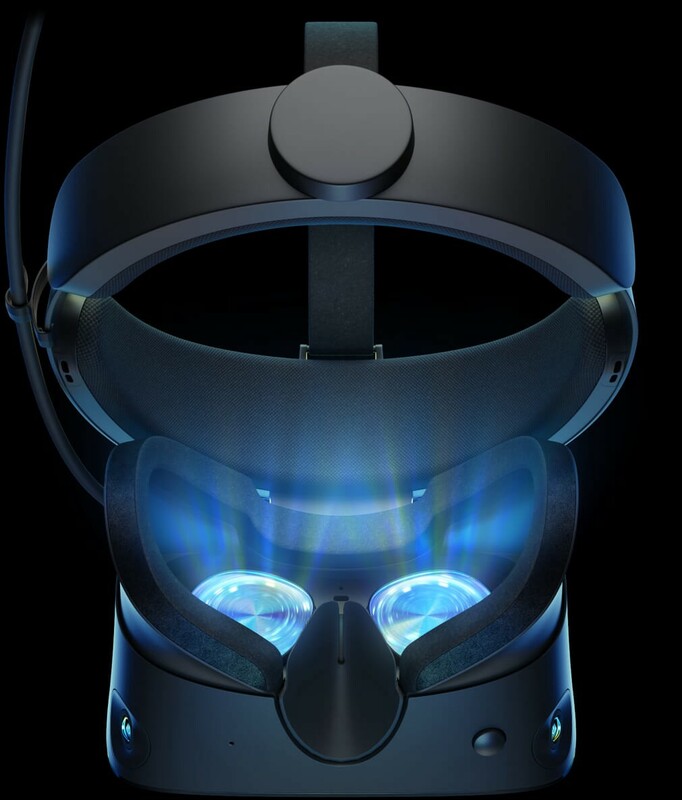 Based on the information received at GDC I would predict that the Quest and the Rift S will be the only two VR headsets released by Oculus in 2019.